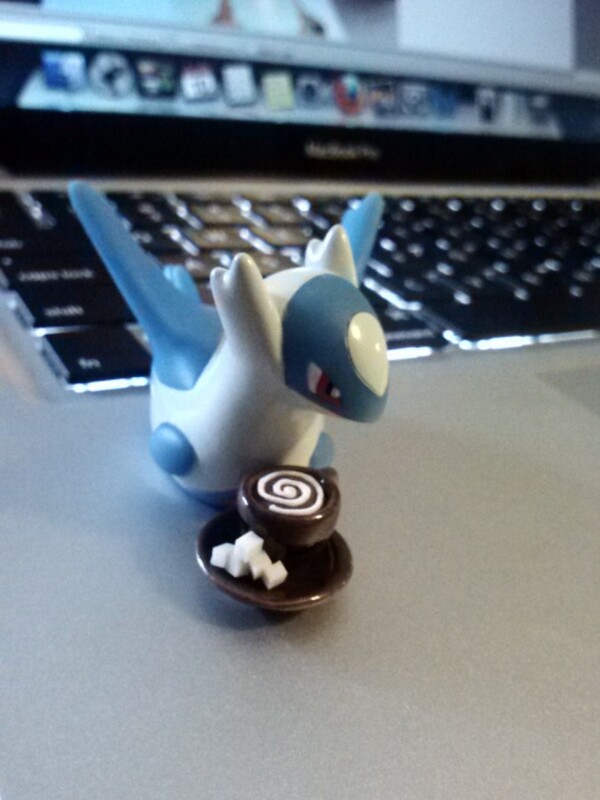 also looking for: a cheap rhydon figure, a tomy i guess? Zukan GSC2 auctions and largeish sales! 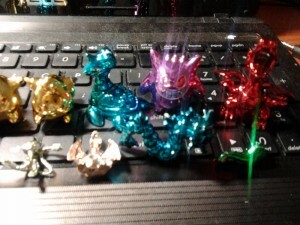 Lastly, a quick reminder for th Metal Figures Galore GA, which ends in about 14 hours! Click the name or the picture below to be transported! Today I have some sales and auctions for you all. As you know a few days ago I got a magical box of goodies. I just finished getting them all uploaded in my sales post in my journal, along with an auctions post! I have the Tomy Raikou, and Entei along with the RARE Jolteon metal figure up for auction today. click here or photo to be brought to my auctions post. click here or photo to be brought to my sales post. Also I finally finished the seed bead sprites I have been working on. 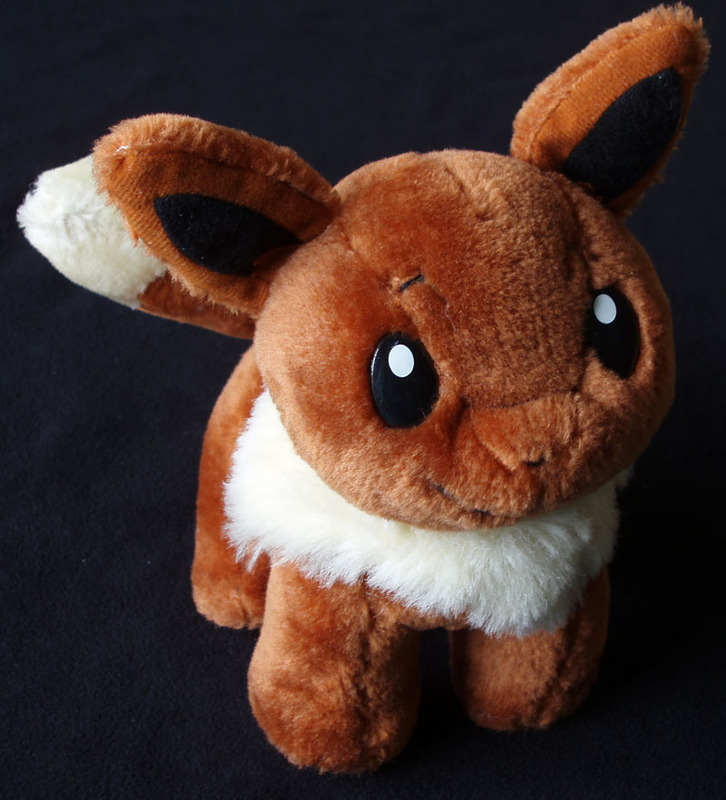 Currently I only have the Eeveelutions, as I am busy working on sculpture commissions. I have decided that since they take quite a bit of time, and I can not work with all pokemon, I may not do custom commission. I will however take advice on who I should do next. Like I said, some Pokemon I just can't make work (i.e Magikarp) I work with a specific bead technique and not all patterns made with this look good. So feel free to leave a comment below on who you would like me to make. Okay, so here they are, they range from the 1"-2". Made from Miyuki seed beads, with a clip strap. Collection update and updated sales! 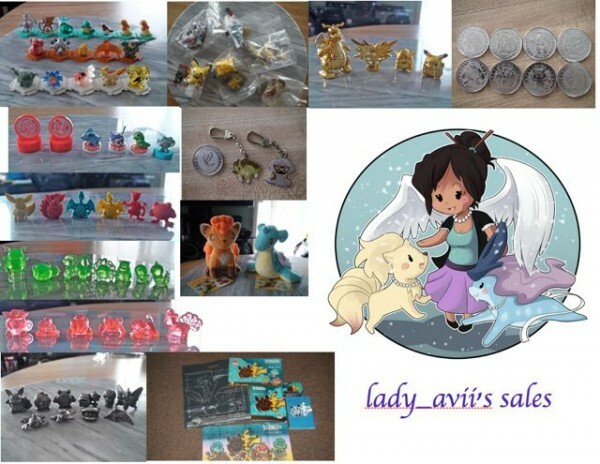 I also have updated sales as I'm trying to clear out the box of unwanted Poke goods in my room. I also added new stuff and am weeding out my Stunfisk collection. Not all of it, but a large majority. The only things I am keeping are some of the "practical" items like the coaster set, floormat, cushion, charms, and pot holder. I'll do the collection update first but put them under two separate cuts so you guys can skip whichever if you want! Erasing the original entry because it's a serious waste of effort while LJ's blocking the only image host my computer can load. How much do your collection and games influence each other? Do you collect Pokemon based on what you've raised in the game? 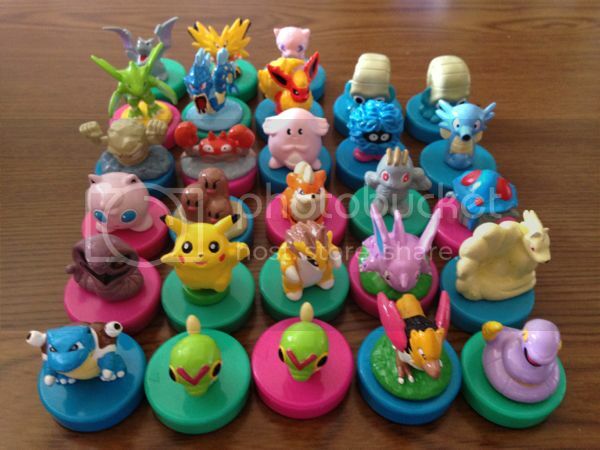 Do you use Pokemon because they're in your collection? 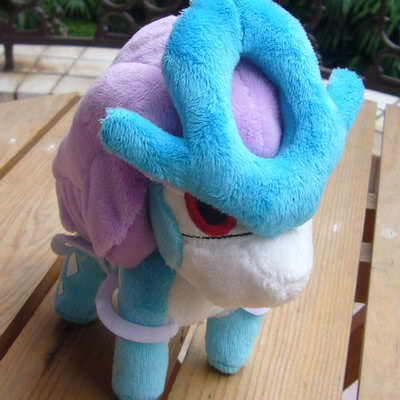 Earlier this week I purchased this Suicune Pokedoll off of eBay. It looks legit to me, obviously minky, no flat diamond, embroidered eyes, etc. however, my only doubt of its officiality is that this particular seller has multiple listed, and is from China (no offense, I promise). Has anyone else purchased this doll? Also, if this is your picture and you want me to take it down, do say so. I've been creepin’ around the community for the past month or so and now that I'm more familiar with how this place rolls I've finally decided that now was a good time to introduce myself. ...was that a run-on sentence? Merp. Anyway, my name is Tina Pan and I’m 17 ½ years old. I live all the way in Fartsville, Pennsylvania, which is very close to the nice old city of Philadelphia. haha, gotcha. My town is not called Fartsville, but I really do live in the middle of nowhere. Nowhere suburbia. I would rather chat and make new friends than have a buyer or seller mindset- so as I’m bidding or buying I’ll often ramble or heck just talk about the weather. LET’S TALK ABOUT WORLDLY WEATHER. Hyup. That’s pretty much a nutshell for what I was going for as an intro. I hope it passes, and that I’ll be sticking around and getting to know the community for as long as Pokemon makes cool products and cheesy episodes! I hope that doesn’t offend anyone with that “cheesy episodes” comment, but yeah. I was turned off by the Diamond and Pearl series. What in the world happened to Ash’s voice? Puberty gone wrong right there. And this one trainer who appeared in the series…PAUL -just absolutely scared me. I could see the darkness of his soul from the other side of the screen. Just a quick question concering a pick up. I'm just wondering, did anyone receive their items from cyritcs pick up yet? It's been a little over 3 weeks since they were shipped out. AND I always like to take a look in there. First off my boyfriend found this cool pokemon magazine and it came with things! So I had to get it. 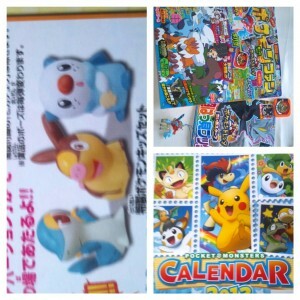 lol And than I found a cool BIG pokemon calendar so I had to get that too! There is even Eeveelutions! O:!! Hello! I'm back again with new slots for custom charm commissions, for both pokemon and human characters. If you're interested, just follow the linked banner below for more information. Hey guys! 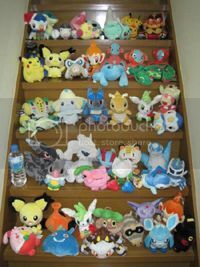 Quick question, how rare are lickilicky pokedolls? I haven't seen them around that much and i was just wondering how much they generally go for. Last i saw it was $30 but that was years ago. Let me know in the comments that you've paid and your location so I can mark it off in the spreadsheet. I am posting this to the community (instead of just commenting to participants) because I want to offer extras!! Aerodactyl, Zapdos, Omanyte x2, Geodude, Krabby, Horsea, Dugtrio, Machop, Arbok, Nidorino, Spearow, and Ekans are all available for just $1 each - both participants and non-participants may claim, and all money raised will be put towards our second invoice. Plush Stairs GA – Payment #2. And super quick sales! Everyone paid the first payment fast, thank you all for that. <3 It's time to ship our plushes from Japan to United States. I had to do some collection weeding. All these Eevees take so much room from my collection cabinet, that I have to get rid of two of my small side collections, Lilligant and Zorua. .__. The Zorua lot includes the Movie Medal, which I have not seen anywhere. I got it in a Kids lot from Y!J, so I'm not sure, how much I should ask for it individually. So I'll put it up for offers. I also got some Megablocks from Japan. 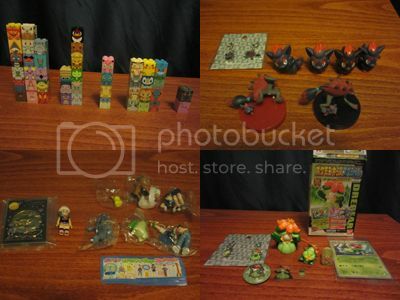 I'm going to sell the bigger megablock set at a fleamarket tomorrow (it would be way too expensive to ship, so I don't even try to sell it here), but I'll offer all Pokemon Megablocks and the Dawn character to the community first, if anyone is interested. Anything that doesn't sell today, will probably be included in the set I'm going to sell and not available later. super-mini perler sprites and plush comissions are not available at this time! Yes, those are the zukans. It took me so much time to assemble all the zukans. Why? Therefore, I had to go through ALL the bags and try to find out what base went with what base, and what pegs went with which Pokemon and base. So, if any zukans look like if they have the wrong pegs, sorry. Hi guys, apologies for the delay in an update about these GAs! Magnetic Pokeball GA - I have paid the customs fee for this parcel but it is yet to arrive at my home. Please don't panic, it will most likely arrive (to rapturous applause) on Monday from Parcelforce. I will be mailing any paid balls on Friday, so there is plenty time to pay. These CANNOT be mailed with any other items due to them coming to my Derbyshire address. TOMY, Burger King (working but very tired) and Jakks. 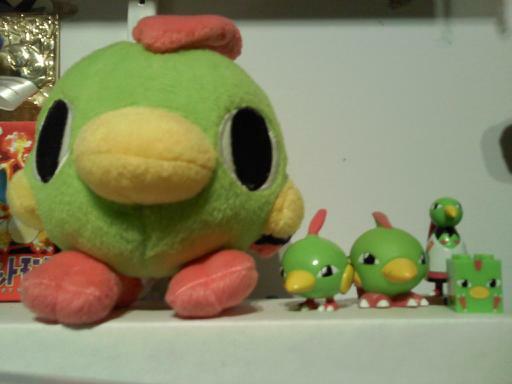 So My Natu/Xatu collection is looking good, but has room for improvement! Right now I am looking for the Natu/Xatu Zukan, the Xatu TFG, and any other green birdies you can offer! I'm not interested in flats atm, unless it's the gaming coins. Thanks guys! On another note, I still have everything on my sales! Check it out! What is this archeops plushie?? What is it? 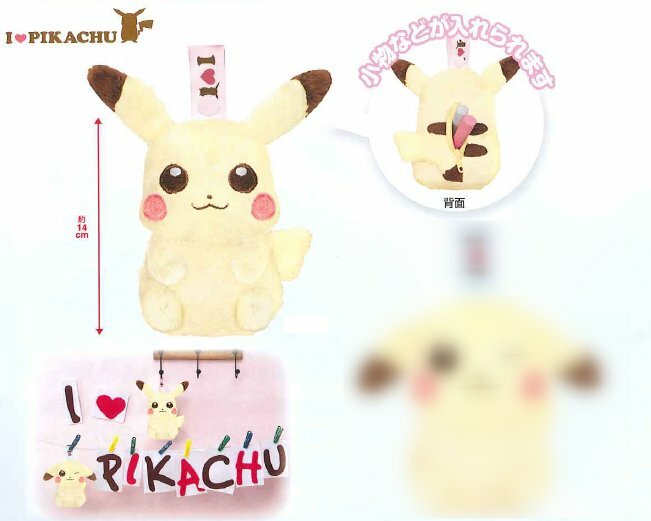 I thought it might be the MPC plush but I haven't seen any others??? So, I have decided. I need to have more Colress-es in my life. :D I love this guy, he is so awesome. Colress' battle theme, his labcoat, the air of mystery, his motives, the hair...everything. I've never called anything a grail before. Why this one? But maybe there is a prototype? Maybe a few exist? Has anyone ever seen one? I would like to know! Small collection update and small sales. Hey community, I don't update about my collection anymore haha. So I bring to you a small collection update!!! And there some sales there too which include Oshawotts and A Black and White 2 Clearfile. Due to major house cleaning and involved offline happenings, I'm sadly in the process of streamlining my collections to the bare minimums. This will take a while to get through it all, so I'll be dividing up my sales and auctions to keep everything as organized as possible. For now, I bring to you the first bunch up for auction below the cut! All threads are ready to go now. Happy bidding, and thank you all for looking! Hi, guys. If you still remember the two shiny legendary birds in my last collection-update post. I have a lot of leftovers, and I have no idea what the worth of them is, which means- OFFER TIME! I will not separate the lot because they are really fragile and need to be shipped within a box. I am not gonna take the risk of shipping them in bubble-mailers, and absolutely impossible in a envelope. ​Items in used conditions. Having paint lost, part missing as you can tell from the picture. Charizard has its wings pulled off. Dragonite miss its wings and one antenna. Besides, there are a mysterious tail and a trophy cup. 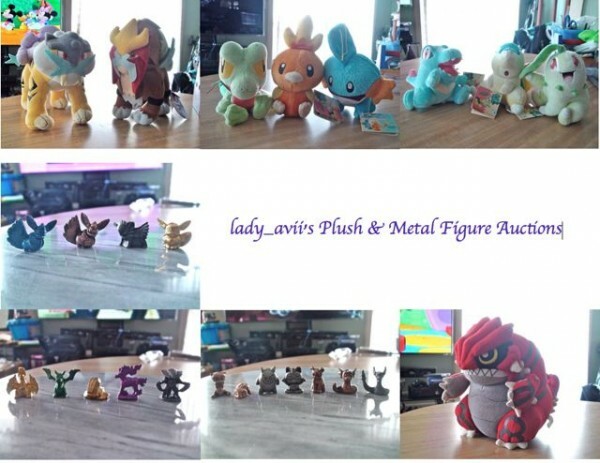 I have also updated my sales post with a lot of Battle Museum Figures, featuring a Tyranitar and a Larvitar. For my recent gets, here's a preview. And for those who missed my post the other day, I opened up my shop! I am mainly selling plushies. But will add some more stuffs eventually. I should have preordered.. but, are the ones on eBay legit? 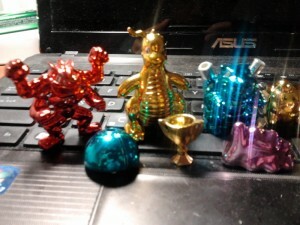 The '2012' ones that are 39.99 + 12.00 shipping, about 8" tall each? Ugh. I feel like I couldn't got them cheaper by preordering. D: They're so perfect looking! 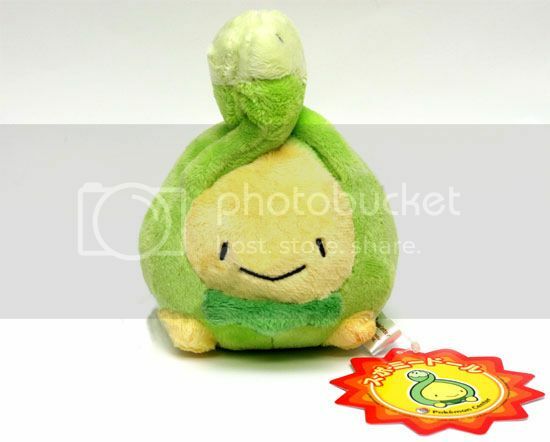 iv been collecting budew really seriously lately and yet a year later this plush seems to haunt me again! I love it so much and i hope someone would be willing to sell him. 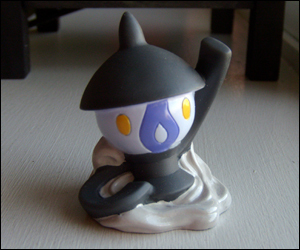 Also my here is the rest of my wants list click, I found one on Noppin yesterday but i wasn't able to snag him. Just to let anyone know there's a it of a bug in Noppin i thought i was winning the auction and it didn't say i was outbid but someone bid the same amount as me. I'm not sure how this happened but the other user ended up winning it and i thought i was the last bidder. I don't even know how its possible to bid the same amount at the same time? Just wanted to give a heads up on that cause it was really sad contacting Noppin thinking i won and that there was just a big mistake that i was outbid only after the auction ended ._.;. Thanks for reading all of this! really feel a bit awkward posting this. Thank you`!